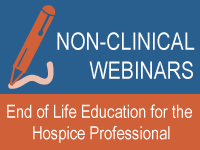 Illuminations, FHPCA’s Virtual Learning educational programs, are known industry-wide for exploring and explaining the most current topics in hospice and palliative care. These 70 minute workshops include live faculty instruction with supportive handouts and documentation. Sessions can be attended by web and audio conference from the comfort of your office or conference room. Site registration for FHPCA members are only $108 per site. So gather as many people as you’d like in one office, conference room or auditorium for one low price. Your registration fee includes FREE continuing education credits for each workshop attendee – no matter how many. Visit our ILLUMINATIONS PAGE for more details and to see upcoming webinars. Plans for Forum 2013 have already been begun! Next year we are going back to our regular clinical conference, and so far the planning has been fantastic. ‘Like’ our Forum Facebook page or join us on Twitter to stay up-to-date with what’s going on. 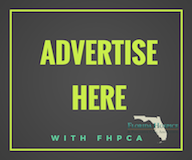 For over 25 years, FHPCA has served as the premium educational choice for hospice providers across the state of Florida, the southeast and the U.S.
FHPCA Members are encouraged to join us for this semi-year round Forum Committee. The committee meets once a month from August – May, and works hard to make FHPCA’s annual conference a success. Besides a great feeling knowing that they are contributing to quality education in Florida, active Forum committee Members also benefit with free registration to the conference event. This is a great way to become involved with helping shape education in Florida, and to save your hospice program’s education budget. For more information, contact our office at (850) 878-2632 or email us at info@nullfloridahospices.org. For more information visit our FORUM PAGE.